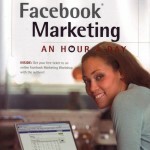 Books related to social media marketing keep coming out. The truth is that even if Internet and social media marketing aren’t new, the information needs for marketing managers are huge: the more they read, the faster they will get the immersion feel enabling them to move from a tactical use of social media to a strategic management of social media campaigns. The first chapter is one of the simplest and best written short history of Internet Marketing I have seen in a while; it summarizes how customer targeting is quickly evolving towards building up coherent sets of motivated and intention-driven social commerce addressees, and takes you to the second chapter on what Facebook is: a platform that brings people to real or virtual places or stores based on who they are, what they like, or what they are looking for. In other words, people who have described themselves in their own terms. Based on this understanding of the potential of Facebook as a sales and marketing platform, you are able to define your “social media product,” because “the social media presence is, in effect, an interactive online product.” Promoting or positioning this “product” requires a structured view of your social media project, so start with the beginning: Create a campaign. Facebook Marketing is one of the few books reminding you of this simple, yet critical concept of “campaign”: it’s what kicks off the entire work process and your operational plan. Chapters 4 to 7 take you through a month-by-month (as well as week-by-week and day-by-day) planning and execution plan. This is yet another real plus of this book: the authors are hands-on practitioners sincerely willing to transfer their own experience and turn you into empowered, rather than dogmatic, professionals. Because measurable success will not come overnight. It’s the result of an iterative process composed of a collection of adjustments, experiments, and reassessments. “Remember,” the authors warn, “these projects involve a lot of trials and errors.” So, generally speaking, no matter how convinced you may be that you are cutting edge, always temper your own expectations, don’t over-promise, and measure impact and results like crazy. The last three chapters offer a variety of tips and advice – from leveraging Facebook apps to picking up the right people and vendors – and invite you to remain on the look out. Facebook has quickly become a marketing power-kingdom. Continued learning will be part of your continued success. Incidentally, keep abreast with the authors’ sites and wisdom. Note: The authors mention a few software products at the end of the book, including ObjectiveMarketer, a company for which I am a Board Member. The platform specifically focuses on the end-to-end management of social media campaigns- from the planning stage across a team to the distribution across multiple media channels, all the way to the analytics evaluating the effectiveness of messages. Great review! I appreciate the detailed chapter comments. Very helpful. Have you put anything you learned into practice yet? Any thoughts on effectiveness? Wowee, Marylene – what a fantastic review. I love how helpful and detailed you made this. Thank you so much!!! Well comprehensive review and it drives me to purchase this book. Since I want to start my own firm and I think a good way to start is to market my business through Facebook. Keep it up! Marketing could be done in many ways that is why a lot of marketers are finding different ways. One way is through Facebook and other social media sites. But it won’t be that easy because it will depend on your target market, strategy and outsourcing abilities. This article is really great because it could help you on those aspects and you don’t need to find other articles just to market well through Facebook. thanks for sharing this information i´ve recently started my own business and i am really looking forward to learn more abour marketing. i found your post very useful. Since I wanted to start my own firm and it becomes true I thought it would’t be possible. I had not any guide of “how to”. This article can help you on those aspects and you don’t need to find any other. Although Facebook now seems an established fixture of the net, the company is more fragile than it appears. Companies powered by a network effect tend to wilt as quickly as they flower. Concerns about privacy have plagued Facebook for the past few years; if another social networking universe were to come along with a credible guarantee to protect our data, it could wither as quickly as did Bebo and Friendster before it. The company now finds itself sandwiched between the sensitivities of its users and the commercial imperative. Thanks for the info is very helpful for people who started our own business. Thanks for sharing the information and from here I would encourage all entrepreneurs to follow the way of your intuition. It is a very valuable information for online marketing. Thanks for sharing this information i´ve recently started my own business and i’m really looking forward to learn more abotr marketing. i found your post very useful. This book is a good contribution to the media that we can come nigh to achieve a good sales strategy and through this social network leads us to a more detailed understanding of how we can make no doubt I will buy a prune thanks for sharing of so far this. Great review! I appreciate the detailed chapter comments. Very helpful. I read much your blog .